Alimony or spousal support is a form of court-ordered financial allowance payable to a spouse or former spouse. It is intended to cover living expenses such as housing, food, and other costs to enable the payee to continue maintaining the lifestyle that they lived during the marriage or prior to a legal separation. Our law firm serves plaintiffs and defendants in Monongalia County, West Virginia. How is the Amount Payable for Spousal Support Determined? The payor of spousal support will typically fulfill the obligation to the payee via earned income. However, in some cases, assets may be ordered to be liquidated to cover the amount of alimony ordered. In no case will the court order the payor to remit an amount determined to be disproportionate to the payor’s ability to pay. Spousal support may be paid in a lump sum, in installments over a number of years, or both. In most cases, the obligation to pay alimony is specified in a prenuptial or separation agreement, although the order may be made as part of the final divorce decree. By law, the parties must be living in separate residences for spousal support to be granted. Does Husband or Wife Marital Misconduct Affect Alimony in West Virginia? A range of additional factors may be considered, including the age of the child, the nature of the parent/child relationship, the length of time that has elapsed, and the likelihood of causing irreparable damage to the child. In addition to adultery, a felony conviction that occurs during the marriage or desertion of the spouse for six months or more may also preclude the court from awarding alimony to the actor. 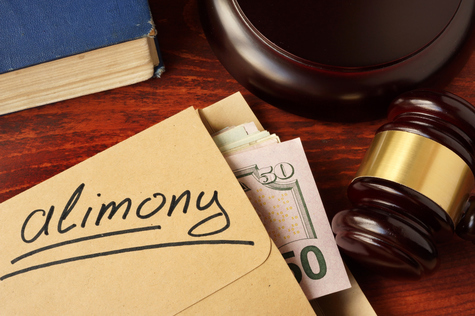 Contact Angotti & Straface Attorneys at Law to request a free initial appointment to discuss your alimony case: (304) 292-4381. We offer our clients over 66 years of combined experience successfully assisting residents with spousal support petitions, modifications, and a wide range of related family law services. Your attorney will stand by your side to answer your most pressing questions and prepare your case with all of the relevant and available evidence to support your legal needs.